Honda is pinning their new 2019 Passport SUV ‘adventure-ready’ when it arrives Feb 4 in US & March 15 in Canada; Pricing starts at US$31,990 & C$43,680. This feature Honda’s New 2WD “Rugged” 2019 Passport Starts at $31,990 appeared first on TractionLife.com by Amee Reehal. The 2018 Accord’s 2.0L turbo engine is Honda’s follow-up to the V6 that was the performance upgrade in past generations of this sedan. This feature 2018 Honda Accord 2.0L Review appeared first on TractionLife.com by Chris Chase. With no performance bump, the 2018 Honda Fit Sport adds black wheels, a chrome tailpipe, a subtle body kit & a black/orange interior, all slapped with a ‘sport’ badge. This feature 2018 Honda Fit Sport Review appeared first on TractionLife.com by Chris Chase. We spend some time with the 2018 Honda Civic Type R and breakdown the Japanese sports car’s engine, driving impressions, specs, and price. This post 2018 Honda Civic Type R | A Closer Look appeared first on TractionLife.com by Graham Heeps. This post 2018 Honda Accord Review Touring Review appeared first on TractionLife.com by Graham Heeps. Calgary, Alberta – Honda has been in the hybrid game as long as anyone, but has never quite matched the success of Toyota’s successive Prius generations. The Clarity name was first used on a hydrogen fuel-cell vehicle (FCV) in 2008 but the name has now been given to three ecologically focused siblings: a new FCV, an electric car and the Clarity Plug-In Hybrid. The latter is the only one available in all 50 US states and Canada. The 2018 Clarity Plug-In Hybrid went on sale in December 2017 at a price of US$33,400 or C$$39,900, billed as a no-compromise electric vehicle. This Accord-sized newcomer offers a nominal 76km of electric-only range from a 181-horsepower electric motor and 17kWh lithium-ion battery, matched with a 1.5-litre gas engine to provide up to 212 total horsepower and 547km of total range. We subjected an example of the higher Touring grade (an extra US$3,200 or C$4,000) to family life in the Calgary suburbs. Other plug-in hybrid cars (Chrysler Pacifica Hybrid, Mini Countryman Cooper S E ALL4) look near-identical to conventionally powered models but with the Clarity Plug-In Hybrid, Honda has plumped for something less run-of-the-mill. The partially enclosed rear wheels evoke Honda’s original eco-car, the 2000 Insight, or old Citroëns. There are some cues from other cars in the current Honda range, too, but the Clarity still looks like little else on the road today. In the eyes of this observer the range-improving, low-drag shape is sleek but hard to love. Some will admire its futuristic sweep but it may be too extreme to win universal acclaim. That focus on aerodynamics has consequences for usability, too. The hood drops away to a small, tapered frontal area that’s invisible from the comfortable but low-slung driver’s seat, making it hard to judge distances when parking. The rake of the rear screen (which has no wiper) compromises visibility that not especially enhanced by the small, vertical glass cutout at the screen’s base. This area is also prone to soiling in wet conditions, compounding the problem. Finally, the distinctive, stylish and aerodynamically efficient 18in alloy wheels sit flush with the tire sidewalls, leaving them susceptible to curb damage – as I found to my cost. The Clarity’s interior is spacious enough to carry five in comfort. The Touring trim’s leather lends a quality feel and all the gadgets that you’d expect from a vehicle with an eye on the future are here: 8in central touchscreen, SiriusXM, Android Auto, Apple CarPlay and Siri among them. I particularly liked the SMS text message function, which not only plays you an incoming message, but offers a choice of half-a-dozen standard replies – Yes, No, I’m on my way, Talk to you later, I’m driving, etc – at the touch of a steering-wheel button. Unfortunately there were a couple of practicality hitches when using the car to haul kids and luggage. The sculpted rear seats sit you lower to helpfully improve headroom for taller occupants, but the sculpted area is too small to easily accommodate a typical child’s booster seat. It made it hard for them to position the seat and clip in the safety belt. The Clarity also struggles to accommodate large loads thanks to a relatively narrow trunk opening, the small, curved cut-out between trunk and cabin with the seats folded, and a split-level trunk floor created by the hump of the battery pack beneath. Key to the success of any hybrid is the integration of the gasoline-electric powertrain. The Clarity scores highly here – the switching between the two, or their use in combination if you have a very heavy right foot, is seamless. In truth, you’ll rarely need to call upon the gas engine unless you’re covering substantial distances. In mild weather, we got about 70km (around 43 miles) from the battery around town, more than enough for most daily commutes or runs to school and soccer with the kids. The Clarity accelerates briskly to highway cruising speeds on electric power alone and the standard level of regenerative braking is well judged, although you can add more via steering-wheel paddles. Back home, the battery will recharge overnight via a regular 120V socket, or in as little as two-and-a-half hours with a 240V setup. Plug-in reminders and details of local charging stations are available via the HondaLink app. Refinement is a key criterion for a car that doesn’t have the noise and vibration of a combustion engine to mask shortcomings elsewhere. Here too, the Plug-In Hybrid does a solid job. Wind noise is well suppressed save for a little rushing around the door mirrors at speed; road noise is likewise low and the ride is generally comfortable, especially at urban speeds. You likely won’t buy a Clarity for handling prowess but the steering is well weighted and a low, wide stance with plenty of weight low down helps keep body roll under control. We liked the Honda Sensing driver-assistance technologies on the Odyssey and here too, they work superbly. In clear conditions the Clarity will keep itself in the center of a highway lane for 30 seconds with no trouble at all, before prompting you to replace your hands on the wheel. The Blind Spot Information System provides a helpful side-camera view when you activate the turn signal, helping to spot cyclists on your inside, for example. It’s hard to argue with the Clarity Plug-In Hybrid’s economy. I covered 291km in a week’s driving but used only 3.64L of fuel, which equates to consumption of 1.25L/100km (188mpg), well ahead of the official figure because I did most of my driving in electric mode with overnight recharging. I suspect many customers will use the car in a similar way, helping to recoup the Hybrid’s price premium – in Touring trim with the 1.5-litre turbo engine, an Accord costs upward of C$35,890, a full C$8,000 less than the Clarity Touring. Local incentive programs such as those offered by the Canadian provinces of British Columbia, Ontario and Quebec are another factor in the Hybrid’s favour however, with a rebate of up to C$13,000 available in Ontario. If environmental credentials or low running costs are a priority – the gas engine is supposedly good for 160,000km/100,000 miles without major maintenance – then the Clarity Plug-In Hybrid is worthy of consideration. There are compromises to be made, however, most notably in the car’s practicality and styling, which won’t suit everyone. Perhaps Honda recognizes this too, having given the upcoming 2019 Insight a much more conventional look. This post 2018 Honda Clarity Plug-In Hybrid Review appeared first on TractionLife.com by Graham Heeps. The new Honda minivan is here. So we had our two journalists – the dude with no kids and the family man minivan dad – put the top-end 2018 Odyssey Touring to the test, giving us their separate takes on the redesigned Japanese family hauler. ­We’re always a little surprised, these days, when an automaker rolls out a brand-new minivan. It’s been a long time since this super-practical vehicle type ruled the suburbs, and while many brands gave up on it in favour of crossovers and SUVs, a few persist and find success thanks to strong brand recognition. Honda, one of the world’s most recognizable automakers, has redesigned its Odyssey minivan for 2018. The exterior changes aren’t groundbreaking, but it does sport a new face that shares elements from other recent Honda designs like the Civic and Accord. Two of our contributors, including Chris in Ottawa, Ontario and Graham in Calgary, Alberta, both spent a week with the 2018 Odyssey. Graham hit the road with his family, experiencing the minivan to its full potential. Chris took the more urban approach, driving the Odyssey around town. Would a guy with no kids ever buy a minivan? No, probably not. Ever. But it’s good to have two different opinions so you can buy your family’s next van with more confidence. Not everything has changed: As before, the Odyssey gets its motivation from a 3.5L V6, but it’s now the all-new, direct-injected unit already seen in the latest Pilot. With 280 hp/262 lb-ft (up from 248 hp/250 lb ft in the old model), you’ll never run out of steam. In fact, I’d argue that the Odyssey is quicker than family-focused transport needs to be. The throttle response is surprisingly aggressive, too, even in Eco mode. In our top-end Touring tester, the V6 funnels its power to the front wheels through a 10-speed automatic transmission. That Honda-built gearbox is exclusive to the Touring, with lesser trims using a nine-speed sourced from a German supplier, called ZF. We hope Honda eventually transitions all trims to the new 10-speed, which is a smoother shifter. One of its traits is an aggressive first gear ratio that makes it impossible to move away in slippery conditions without unseemly wheelspin. Honda seems aware of this, and so fits the Odyssey with a “snow” mode that starts the van out in second or third gear (we couldn’t tell which) and dampens throttle response. It works well to help the front wheels find traction in snowy driving. While the Odyssey has long been our favourite minivan to drive, with handling sharper than the class average, this new design somehow builds on that. It’s still as much fun to drive as you can get in this category, with responsive steering that (thankfully) lacks the darty on-centre feel of the setups in the Civic and Accord, and it does all that while offering a comfortable ride. Through a combination of cylinder deactivation and an engine designed to shut off at stoplights, Honda promises fuel consumption as low as 12.2/8.5 L/100 km (city/highway), but cold weather and lots of snow conspired to kick our real-world average up to nearly 15.0 L/100 km. In a week with the Odyssey in unseasonably warm, dry conditions that included a highway run to the mountains and lots of stop-start city use, I averaged right on the stated combined consumption figure of 10.6 L/100 km. I’d have traded some performance for lower fuel consumption. In Europe, turbodiesels provide a good blend of torque and economy in minivans like the Ford Galaxy; there’s no sign of diesels breaking through in this segment in North America, but perhaps the excellent Chrysler Pacifica Hybrid’s plug-in electric technology – with which I averaged 6.2 L/100 km earlier this year – provides a taste of things to come. I found the van to be comfortable when cruising at speed. Unfortunately, in this Touring grade at least, which is fitted with 19-inch rims, it didn’t soak up low-speed lumps and bumps around town in the way I would expect for a vehicle that’ll see most of its service in an urban environment. The Odyssey’s practicality translates to large exterior dimensions, although it’s only marginally longer and wider than before and almost identical in size to the Pacifica. You certainly notice them when parking. The turning circle is even wider than the outgoing model’s, but plenty of steering lock helps with maneuvering. The active safety systems however, grouped under the Honda Sensing banner and standard across the range, are outstanding. In particular, the lane-keeping assist system looks at the road ahead and steers ahead of time to keep you in your lane, rather than waiting until you drift out before reacting. It’s not yet perfect – when salt obscures the road markings for example, the system can become confused – but by gaining the trust of drivers with technologies like this, Honda, like other manufacturers, is paving the way for the driverless cars of the future. The Odyssey’s styling didn’t change much with this redesign; after all, there’s only so much you can do, looks-wise, without compromising a van’s practicality. Still, there are a couple of new character lines in the sheet metal, in addition to the kink in the beltline at the C-pillar carried over from the outgoing generation that gives way to swoopy rear-quarter windows that make the Odyssey look longer and sleeker. Visually, there’s more going on here than in the old Odyssey. While we would call it distinctive rather than weird, the Chrysler Pacifica brings its own sense of style to this class in a package that’s a bit easier to digest. Most noticeable upon hopping inside is a new dash centred around a digital gauge cluster and sporting a sharp central touchscreen for infotainment functions. We’re grateful Honda included hard buttons for the heated seats, but we would’ve appreciated a button to manually change vent settings for the climate-control system. If you want to choose where the air is directed, you must do so through the screen, which requires more steps than are ideal while driving the car. The Odyssey will accommodate up to eight people, but the maximum capacity-to-comfort ratio is found with six passengers aboard. The front seats are obviously prime real estate, thanks to the heat and ventilation functions they get in Touring trim. In many three-row SUVs and crossovers, the second row might also get heated seats, but not here, likely because it would be too difficult to run wiring to chairs designed to be removable. However, the second-row seats do slide side-to-side, a neat touch that allows easier access to the third row. If you don’t mind being a bit chilly in the winter, both second- and third-row seats are quite comfortable, the third row surprising us with its generous leg- and headroom. This is not the ultimate in minivan luxury, however. Kia has that concept nailed with its Sedona, which can be fitted with airplane-style reclining second-row seats with leg rests. Chrysler does second-row stowability better than Honda, but the Odyssey has it nailed when it comes to the third row. The rearmost ‘Magic Seats’ are super-easy to fold away, revealing a cargo space that was long enough to accommodate adult-length skis without resorting to an economy-sapping roofbox. The HondaVAC remains a handy addition and stores unobtrusively in a side panel in the trunk. Parents sitting up front can keep an eye on the kids behind via the CabinWatch camera system. Meanwhile CabinTalk is an intercom function that operates through the second-row Bluetooth headphones. No more turning around and shouting at the kids to turn off their screens! No doubt about it, the Odyssey’s infotainment and connectivity package is cutting edge. I really liked the app-based touchscreen in the front, which makes functions easy to find. In the rear, it takes a different approach to the Pacifica’s seat-back screens and offers a fold-down, overhead widescreen. There’s a slight impact on the driver’s rear view but a plus is the 10.2-inch screen’s visibility to row-three passengers as well as those in row two. Web content can be streamed through a 4G LTE wi-fi connection. What plays on the rear screen can be controlled from the dash, from a remote control, or via the Honda CabinControl smartphone app. The app also gives access to rear-cabin HVAC controls and for songs and navigation destinations to be shared with the vehicle. Using an Android phone, we found it to be easy to download and hook up. Honda is back with another winner in a family-sized follow-up to the new Civic and Accord. Honda has done well to adapt the sharp driving feel for which those cars are known to the larger Odyssey, making it clear the company remains focused on producing a people-mover as geared to the person driving as to those along for the ride. The new Odyssey majors on practical technology, enhancing the experience for both driver and passengers. It’s an excellent family car, but while its leading-edge driver-assistance and connectivity technologies offer a glimpse of the car of the future, it’s old-school powertrain configuration feels a little out of step with the times. This post 2018 Honda Odyssey Review: Family Dad Vs. Dude Without Kids appeared first on TractionLife.com by Graham Heeps. This post 2018 Honda Civic Si Review appeared first on TractionLife.com by Chris Chase. A little while ago, we talked about Honda putting in patents for a newly designed dashboard which carried very future forward design elements. The dash was also designed to go into a smaller vehicle which begged the question, what car are the folks at Honda or Acura designing? With the NSX in full production, this leaves the design team with some time on their hands for a new project. 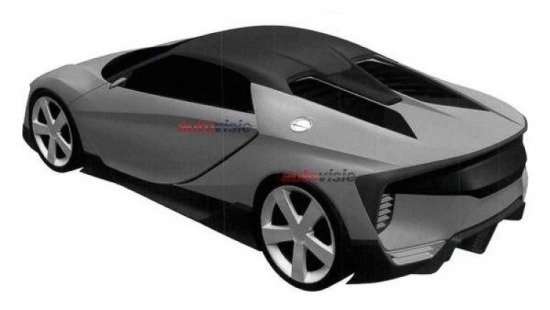 We were thinking it might be the new S2000, or maybe it’s the rumored mini-NSX. The idea of a mini-NSX would also mean that the future car will use a mid-engine platform. And if this were true, the new model may be dubbed the ZSX, which was also recently trademarked by Honda. Further rumblings are saying that the ZSX will be powered by a small displacement turbo engine, likely a 2.0L four cylinder. But more than likely, it will adapt the NSX’s electric technology in conjunction to the gas power plant to deliver some impressive performance. At this point, nothing has been confirmed. All of this is just rumors. But based on what the folks at Honda recently put out with the NSX, it isn’t surprising that consumers are waiting anxiously to see what they come up with next.